Perhaps the most important activity that the associations perform, advocacy encompasses all of our mission critical activities including communication and education. In an ever expanding regulatory environment it is critical to interface with policy makers and regulators so that we can educate them on our processes, inform them as to the importance of our production to the end products that society uses every day from electronics to aerospace, aviation and all transportation modes, defense and a host of commercial products such as furniture, appliances, fixtures and so much more. it is only when policy makers understand surface technology that they will have context for their actions. Because surface technology encompasses numerous areas of public policy that are highly regulated, it is only when policy makers and regulators understand the interconnectedness of surface technology that they will have context for their actions. 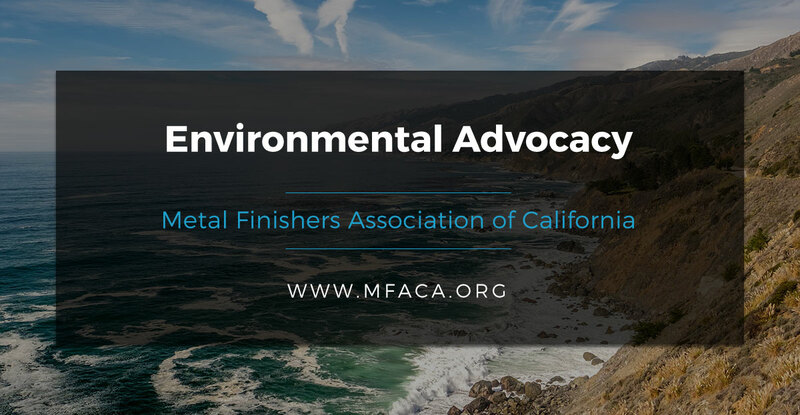 Recognizing the pervasive regulations that we must operate under and the need to provide lawmakers with context, the Metal Finishing Associations of California have established a robust advocacy program that interfaces with local, state and national government agencies and officials. 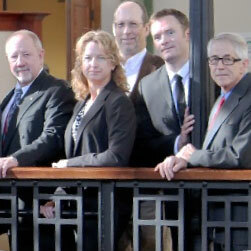 Industry and association leaders annually trek to Washington, D.C., and Sacramento to carry our message. And, we employ top notch advocates in both centers of government to represent us when we cannot be there. We track legislation and regulations and comment and testify to give perspective and make sure that we do our utmost to avoid the often unintended consequences of well-meaning policy makers. 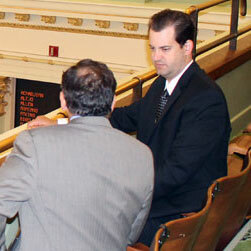 And, a critical part of any advocacy program, we have a Political Action Committee (PAC) that we use to support legislators who understand the importance of our industry remaining vibrant. If you are a member and would like to subscribe to our bill list, or if you would like to contribute to our PAC, give headquarters a call and we will get you taken care of. Browse a selection of articles and resources, or download our stormwater compliance calendar and registration form. New Levels The Department of Toxic Substances Control [DTSC] is drafting regulations to add Chapter 51.3 to the California Code of Regulations, under Title 22, Division 4.5.